When Dominique Strauss-Kahn threw off his bathrobe in a luxury Manhattan hotel in May, consensually or not, he also threw away his chances of becoming France’s next president. 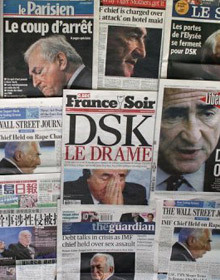 While he was not officially a candidate, Strauss-Kahn was widely touted as the main opposition Socialist Party’s best chance to torpedo President Nicolas Sarkozy’s re-election cruise. Instead, news of Strauss-Kahn’s arrest in the USA hit the French political landscape like a dirty bomb, and cracked the Socialist’s primaries wide open. 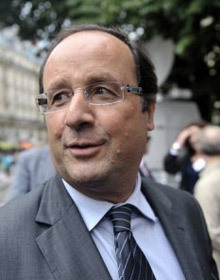 In the wake of the Strauss-Kahn fornication forfeit, all eyes have turned to a handful of Socialists vying for their party’s nomination, with former party leader Francois Hollande leading the pack in the primaries that are potentially open to all French voters. 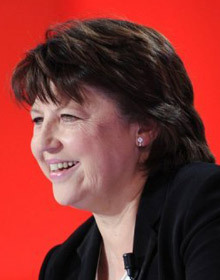 A new poll published by daily France Soir showed that Hollande’s lead has slipped to current party chief and Lille mayor Martine Aubry. She earned 35% support among the left-wingers who were questioned, pulling her within one percentage point of Hollande’s 36% backing. More telling, however, was the other candidates’ mediocre scores: Ségolène Royal, who was the party’s pick in 2006 and lost to Sarkozy, struggled to get 14%; while member of parliament Arnaud Montebourg got 6%, and Manuel Valls, the mayor of the Parisian suburb of Evry, found only 4% support. The contest to choose Nicolas Sarkozy’s main challenger in 2012 has effectively turned into a two-horse race. Hollande was first out of the starting gate, keeping a busy campaign agenda, but also keeping a lighthearted and down-to-earth image. 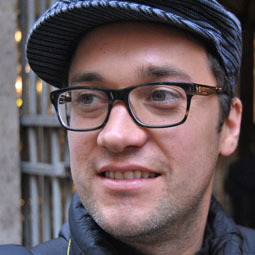 He has impressed many observers and even turned heads by winning an “endorsement” from former conservative president Jacques Chirac. Aubry is the dark horse of the Socialist primaries. She reportedly held a secret pact with Strauss-Kahn, in which they vowed not to run against each other. Officially she is still not a candidate, and has been unwilling to rush into the race. The fiery leader is perhaps best known for spearheading the 35-hour work week law in France. But despite Aubry’s apparent nonchalance, the window on picking the Socialist contender is closing fast. France shuts down for summer. Not in any metaphorical sense, either. During July and August, the vacationing French will literally unplug their brains from everything that does not smell of sun block or taste of pastis. That leaves September’s rentrée, the notorious French return from estivation, for the final dash toward the party nomination in October. The math is easy: there remain two candidates, plus one month to find a substitute to five more years of Sarkozy.